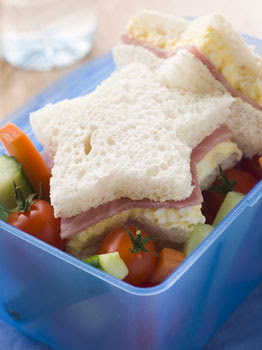 In the last days of summer why not get out and take your kids to the playground with a wonderful picnic lunch. Some of my favorite memories of visiting the playground is the “down time” we had relaxing and eating our lunch on the “big blanket.” In keeping with the “playful” feeling I tried to bring food that would appeal to my kids sense of fun too. I tried to think rather unconventionally not the traditional “sandwich and chips” of an everyday meal. Kids love to dip things, so pack little containers of hummus or spinach dip and pita bread. The Mediterranean-inspired dips are packed with protein and a good source of fiber. Celery sticks with a cottage-cheese salsa dip, baby carrots and yummy salad dressing dip, (honey mustard is a favorite of my kids) or apple slices and peanut butter can contribute to the fruits-and-veggies quota. Yogurt dip: this recipe has a “fresh” taste which my kids love! 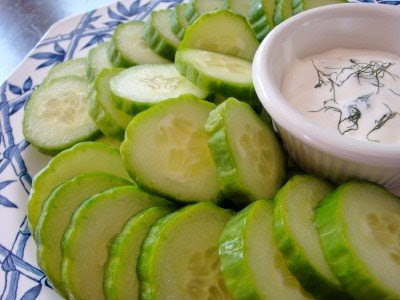 Cut cucumber in half lengthwise and grate into a medium mixing bowl. Add yogurt, sour cream, lemon juice, and 1 tablespoon Greek seasoning. Season with salt and pepper. Stir to combine. Refrigerate for at least 1 hour. Eating the same old sandwich over and over again is boring. So mix it up a bit! You can put all the essentials of a sandwich on wood skewers. 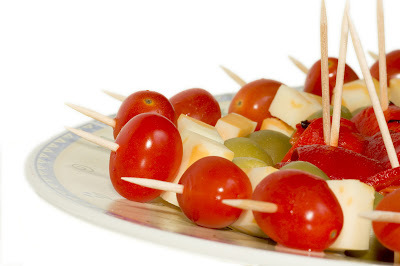 Thread alternating small chunks of turkey, ham, cheese and bread (add cherry tomatoes for fun) on skewers for a new dimension. This trick also works well with fruit. 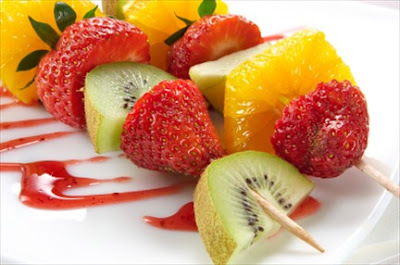 The following fruit make wonderful kabobs: Fresh or canned Pineapple, Bananas, Star fruit, Peaches, Nectarines, Mango, Papaya, Kiwi fruit, Cantaloupe, and Melons Cherries, Pitted Grapes Apples and Pears. Add some pizazz with colored tortillas. 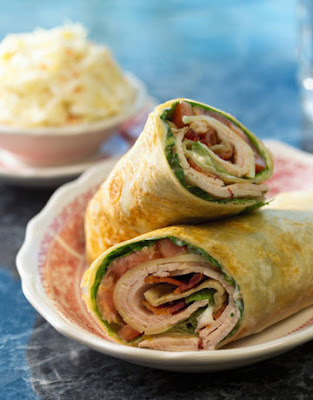 Smear red and green ones with a ranch dip or cream cheese and layer in cold cuts. They're tasty, colorful and easy. I have even made a wrap of the traditional peanut butter and jelly with bananas and boy did my kids love them! Make your kids favorite sandwich and make it just a bit more jazzy but cutting it with a cookie cutter, something this simple makes it feel that much more special to your kids, and you will be surprised how fast they eat it! There are so many wonderful brownies and baked bars that kids love but this is a favorite of my kids which I got from Parents Magazine. Now go on take some time and visit a playground with your kids, one day you will look back and smile on the memories! Do you have a playground story you would like to share with us? what great ideas... I especially love the skewered meat, veggies, and cheese! Terrific and fun ideas. A great reminder to clear our calendars for some unstructured play time before our hectic fall schedules take over. Your photos are also wonderful. Keep the nibbles simple and get out and play! Yum....those pics looked good! Now I'm hungry! Wow! Those are fabulous ideas! I'm so glad I hopped over from SITs! This picnic looks divine but my kids wouldn't eat that food - esp the 10yr old. I would however - yummmmmmmmmmmm. i havent gone to real picnic with my little angel yet. though plans are in the offing these days. these are awesome ideas, and the pictures are great, too. will try it once we pushed through with the picnic. 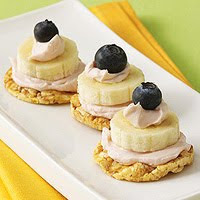 These are yummy ideas! Thanks for sharing. yay for first SITS comment!! OMG, this looks fantastically yummy! Hi, I'm stopping by from SITS just to share some comment love! I hope you're having a wonderful weekend! Stopping by from SITS! What a lovely blog & post. 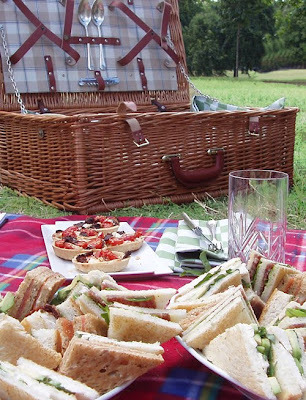 I want to picnic with you!